The findings come from Shopper Insights Report of 2,600 European consumers across seven countries conducted by IRI, the big data and technology expert for consumer industries. •	60% of UK shoppers chose a supermarket because of wide range of products, with 64% because of store services and 50% because of price and promotions. •	Convenience is chosen most commonly in the UK when it comes to reason for store choice, with 70% choosing it for their choice of supermarket and 71% for their choice of convenience store. •	Range is less important when it comes to choosing greengrocers, butchers, bakers and fish stores, along with pharmacies (43% state as reason for store choice). 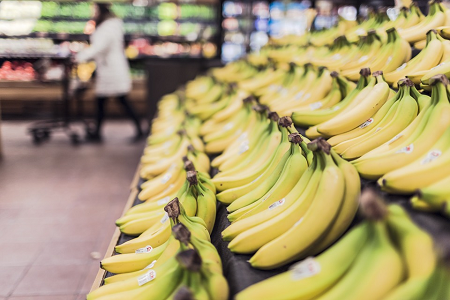 · 60% of UK shoppers chose a supermarket because of wide range of products, with 64% because of store services and 50% because of price and promotions. · Convenience is chosen most commonly in the UK when it comes to reason for store choice, with 70% choosing it for their choice of supermarket and 71% for their choice of convenience store. · Range is less important when it comes to choosing greengrocers, butchers, bakers and fish stores, along with pharmacies (43% state as reason for store choice). · 61% of Italians select wide range of products as the reason for choosing a hypermarket, while 58% do the same for supermarkets. · When it comes to specialized stores, 67% select range as a reason to shop at a health/organic store, 62% for a perfumery store and 57% for a frozen food store. · Range is less important when it comes to shopping at convenience stores, with just 24% of shoppers choosing it as a reason for store choice, while just 32% chose range as a reason for shopping at a discounter (hard and soft). · 61% of French shoppers select wide range of products as the reason for choosing a hypermarket, while 68% cite convenience and 62% chose store services for their reasons for shopping at this type of store. · Just over half (51%) say range is a reason for shopping a supermarket. · Over two-thirds (68%) cite it as a reason for store choice when it comes to make-up and cosmetic stores and 64% for drug stores. · Just 22% think wide range of products is key to store choice for convenience and 28% for shopping at the discounters. · Over three-quarters say range is the reason for choosing a health or organic store, nearly two-thirds (64%) for choosing make-up or cosmetics store, and 60% for choosing a department store. · 66% cite it as a reason for choosing a drug store or a health/organic store. IRI interviewed 2,600 shoppers in Italy, Greece, Spain, Germany, France, the UK and the Netherlands about key shopper issues.